Exane Derivatives and Ellipsis Asset Management have implemented SimCorp Dimension for front, middle and back-office management. 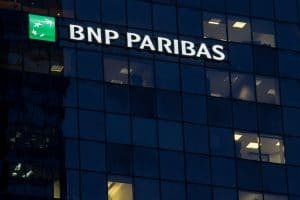 Exane BNP Paribas and one of its buy-side arms have implemented front, middle and back-office solutions from SimCorp for increased automation and to reduce costs. The derivatives business at Exane has deployed the SimCorp Dimension service for middle- and back-office management of over-the-counter (OTC) and listed derivatives. Exane opted for SimCorp Dimension to integrate core workflows, scale the business and replace its fragmented and costly IT infrastructure. Since going live with SimCorp, Exane Derivatives said that it has already seen improvements to the operations of the business, with real-time interfaces for importing transaction data and access to a wider range of market data, which have increased the flexibility and responsiveness in its pricing policy. At the same time Ellipsis Asset management, one of Exane Group’s active buy-side entities with €2.3 billion in assets under management, has replaced its front and middle-office management with SimCorp Dimension. Ellipsis is using the order management system (OMS), portfolio management system, a compliance and corporate actions manager, as well the fund administration tool provided through SimCorp Dimension. The asset manager has also used SimCorp’s market data manager to connect to its preferred trading platforms, including TSOX, EMSX and FXall.